It is the next generation non-surgical face lift. A surgical face lift is an expensive and invasive procedure which is designed to address lost facial volume and skin laxity. But what if you could avoid this procedure and look younger through modern science by using the rejuvenation ability of your own stem cells? We have all heard a lot about the miracles of stem cell therapy on the news. Well, now you can unlock nature’s own stem cell rejuvenation process with a groundbreaking new facial rejuvenation procedure that is performed in less than 1 hour with little to no downtime and at a fraction of the cost of a facelift! The aging process results in a loss of fat in facial structure. Aging also results in hollows and skin laxity. Dermal fillers are designed to address the loss of volume but they last only 6 months to a couple years at the most and do nothing about rejuvenating the skin at a cellular level. Fat grafting to the face is now shown to last 7 – 10 years. Stem Cell Enhanced fat transfer to the face is the next generation Face Lift and Dr Neil C Goodman is an expert in this procedure. Not only can his technique put lost volume back where it was lost but it can trigger a rejuvenation process that can make your skin younger through the natural rejuvenation ability of your own stem cells. Can it make dermal fillers and face lifts obsolete? Consider this; your own fat is harvested, scientifically processed to a yield of over 1 million stem cells per ml of enhanced stem fat and then transferred to the areas of your face where it is needed replacing what was lost due to the ravages of aging. Most astonishingly, the average face needs and easily takes about 30 mL of enhanced stem cell fat and due to the published method that Dr, Goodman uses results in a transfer success rate of 50 -75% and research shows that these fat cells live for 7-10 years. Compare results and cost to a few syringes of dermal fillers lasting a year or two at the most and you will see why fat is the filler of the future – here now. Stem Cell enriched fat transfer is the New Filler in Palm Beach! Dermal fillers are not cheap and unfortunately they don’t last that long either. Take Juvederm Voluma for example, a 1 ml syringe costs $950 and Allergen recommends 4-6 syringes for “total correction”. Now compare this to 30 mL of stem cell enhanced fat transferred to the face for less than $4000 which also transfers stem cell to the skin for rejuvenation with the potential to make you look the way you did years ago, at a fraction of the cost. Face lift Results without surgery. 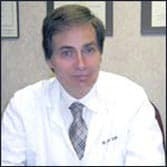 Neil C. Goodman, M.D. is now performing a revolutionary new procedure. Using the newest technology, Dr. Goodman is able to safely and precisely use fat transfer from other areas of the body to the face, in order to sculpt, lift, fill hollows which occur with aging. Areas of the mid to lower face, chin, and neck can all be addressed. Your own stem cell enriched fat is used for this treatment, yielding a long-lasting result. The result is an amazing, natural-looking face lift that is safe and affordable. Neil C. Goodman, M.D. is a Board Certified Surgeon and has perfected the stem cell face lift. Less traumatically perform other important parts of the facelift procedure. Good candidates include mostly all patients with skin laxity of neck or lower face, a poor chin neck angle, a poor jaw line contour, and increased size of jowls. The process takes less than an hour of operating time and is performed with local anesthesia. There is no cutting or suturing, and little to no scarring, leading to minimal risk for complications. Patients will be back to normal is about 2 days, as opposed to the one to two week downtime which traditional face lifts require, and the cost is significantly less. Contact New Radiance today to book a Free Consult for laser face lift!